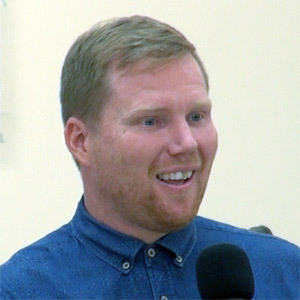 Andy Piggott – "The Father’s Heart For Healing"
Andy and his wife Diana have been married since 2005 and are the senior leaders of Bethel Church in Whangarei, New Zealand. Before the turning point in Andy's life he had only been confronted with arguments for Christ. When he first experienced the presence and supernatural demonstration of God it brought a change of heart that no argument had been able to generate. As a consequence, due to the impact of this on his own life, he has set his heart after the tangible presence and demonstration of the power of God to reveal the love of God towards all of humanity. Through various prophetic experiences and encounters Andy and Diana have come to know that the main thing is to pursue deep connection in relationship with God. Even revival and supernatural power must not be a distraction from the ever deepening experience of "knowing Christ Jesus"